What can make the world more fun? Create the answer in LEGO bricks! Explore an underwater temple and discover its secrets, before you hop in your helicopter and take off for new adventures. Whatever you can imagine, you can build, rebuild and play with all day. Small bricks can inspire big ideas! 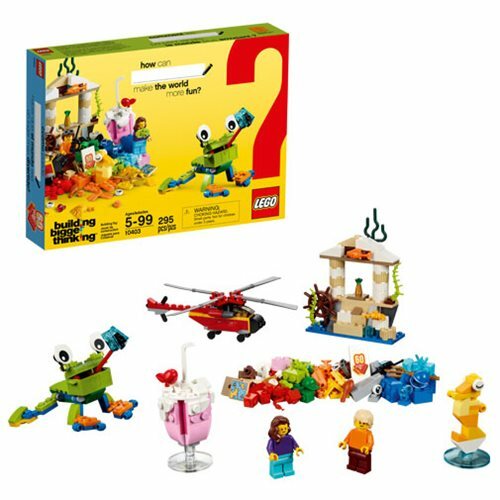 The LEGO 10403 World Fun includes 295 pieces. Ages 5 and up. LEGO 10770 Toy Story 4 Buzz & Woody's Carnival Mania!